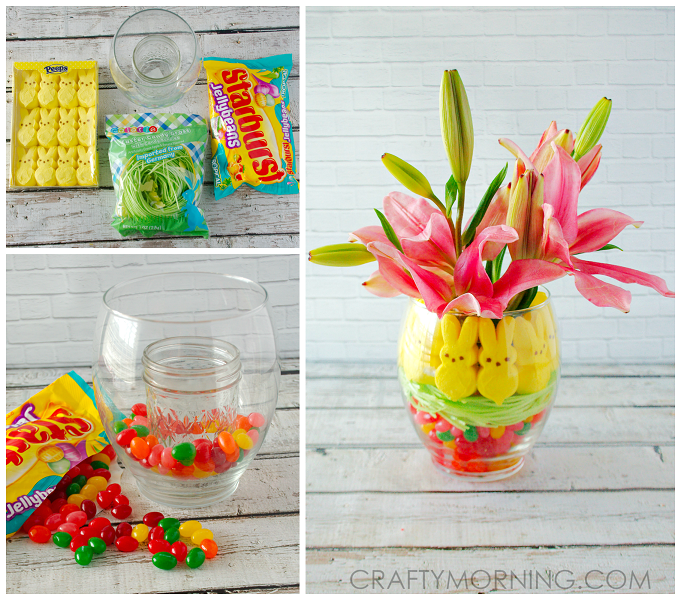 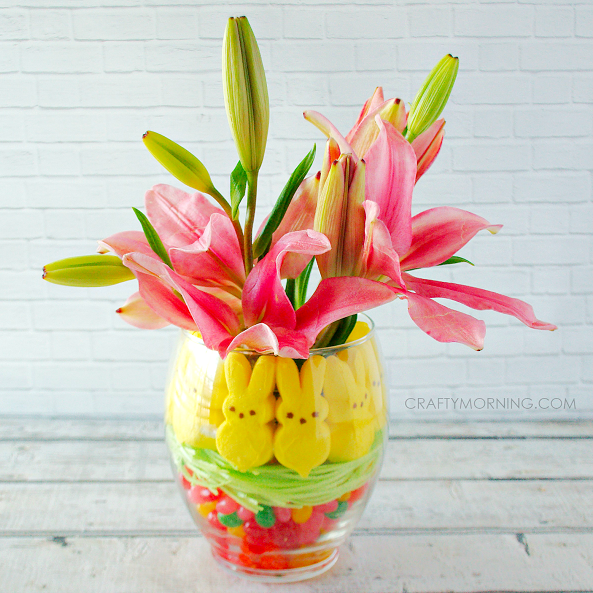 Today I’m sharing a lovely Easter centerpiece that you can make at home for cheap! 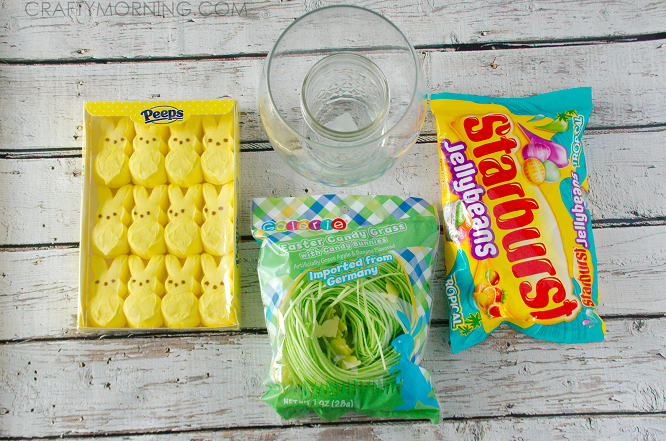 Have you ever walked down the Easter candy isle at Target? 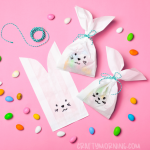 There are so many types of jelly beans to choose from! 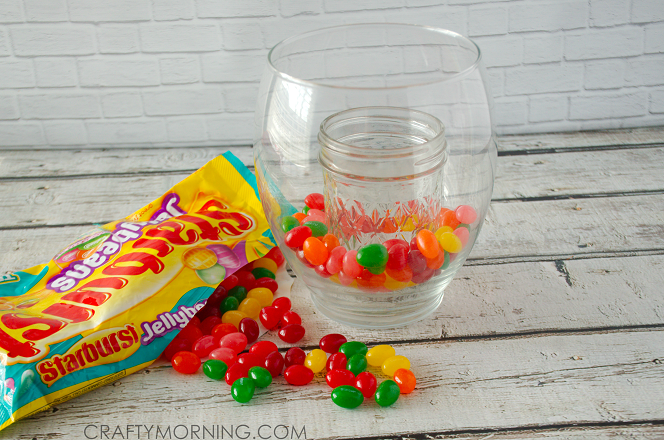 If you want more pastel colors, consider using jelly bellies instead. 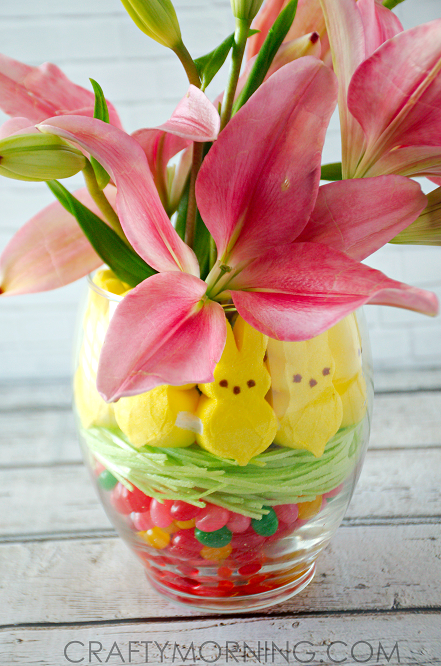 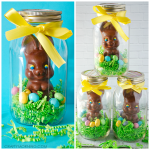 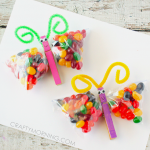 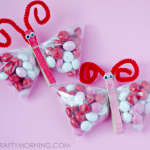 Your guests will just rave at how cute this centerpiece is at your Easter party! 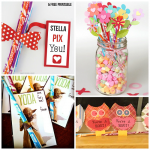 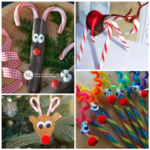 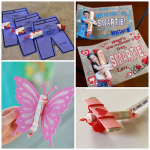 These would also make great gifts for teachers, grandparents, friends, and etc! 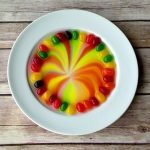 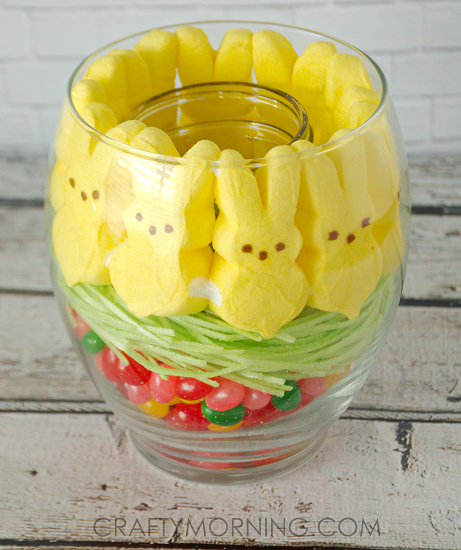 Fill the bottom up with jelly beans, put a layer of grass, and top with peeps. 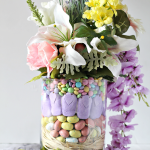 Add some of your favorite Spring flowers and enjoy!